HULLISTHIS has quickly established as a respected and much-loved news platform in Hull. The project has influenced the news media locally, and even attracted attention from the news industry nationally – with the message that news can be more constructive, solutions-focused, and positive. Your help is needed to take this project to the next level, you are invited to become a H.I.T. Patron. a warm glow in your heart knowing that you’re helping to sustain a constructive news platform for Hull that aims to help the city, and its communities and enterprises, to continue to develop. access to H.I.T. 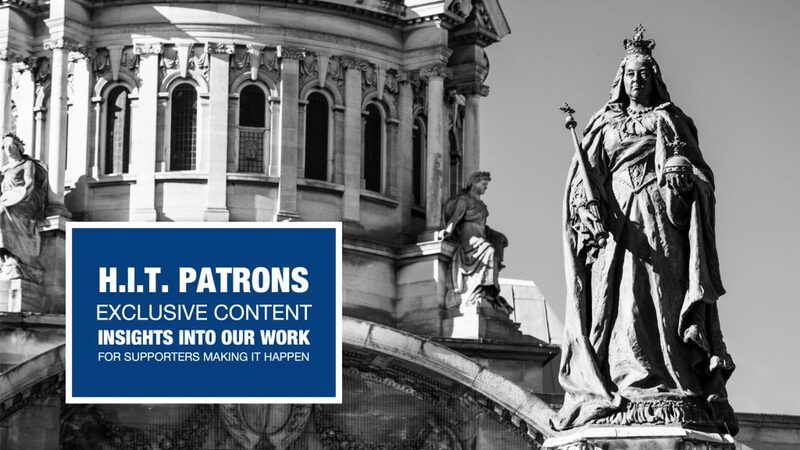 Patron exclusive content, where you’ll find insights into this project’s work, behind-the-scenes photos & podcasts, regular updates about how HULLISTHIS.news is doing, and what is being planned next. invites to exclusive H.I.T. Patron Meet The Editor & Contributors events, where you can tell us what you like and don’t like about HULLISTHIS.news, influencing how the project develops. News on the site will always be freely available to readers, but H.I.T. Patrons will get a little ‘insider’ knowledge from the editor and others that are making this project happen. Your support will help to pay for more content which is exclusive to HULLISTHIS.news, commissioning local freelancers to create content that meets the mission aim, whilst covering core editorial and publishing costs. There’ll be a bit of fun for us to have together along the way too. NB: No Paypal account is required, hit the orange Paypal Checkout button when you get there, then you can choose to ‘pay by credit or debit card’ if you prefer.